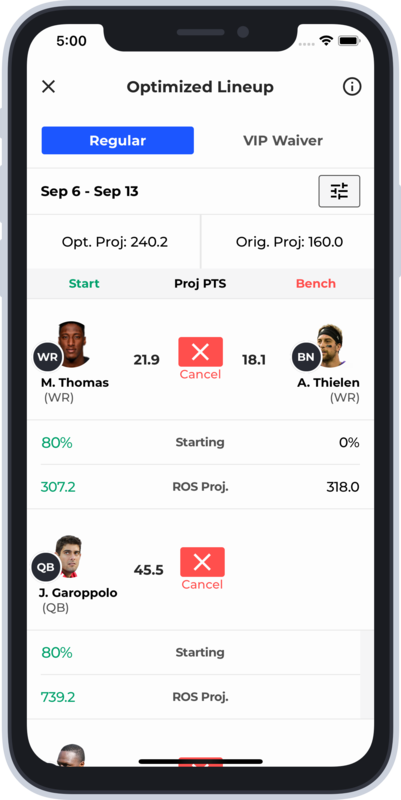 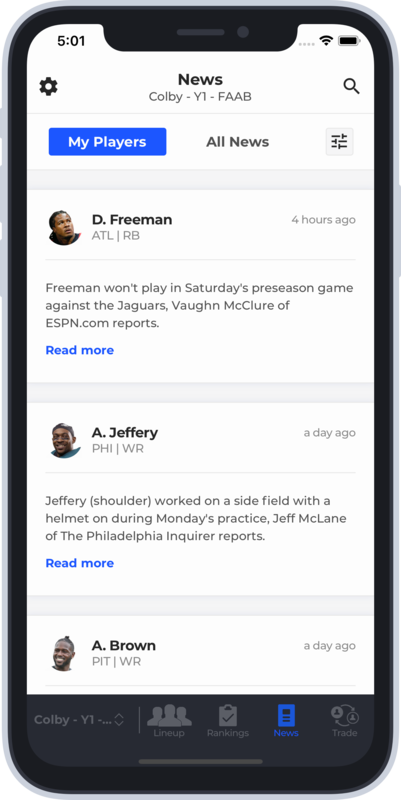 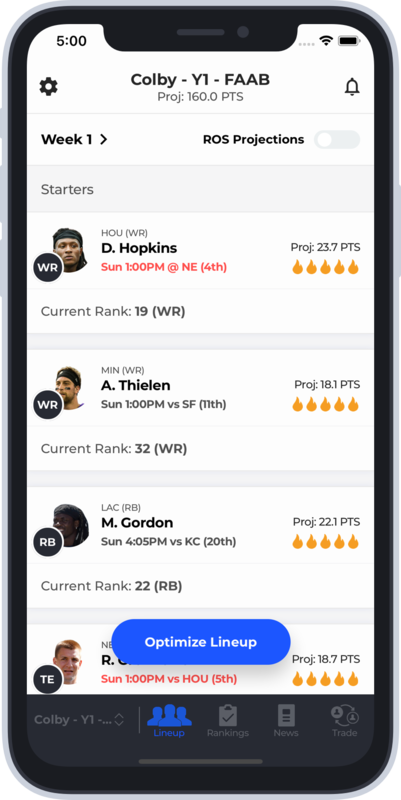 All-in-one app that recommends the best starting lineup, personalized news, player research and more! 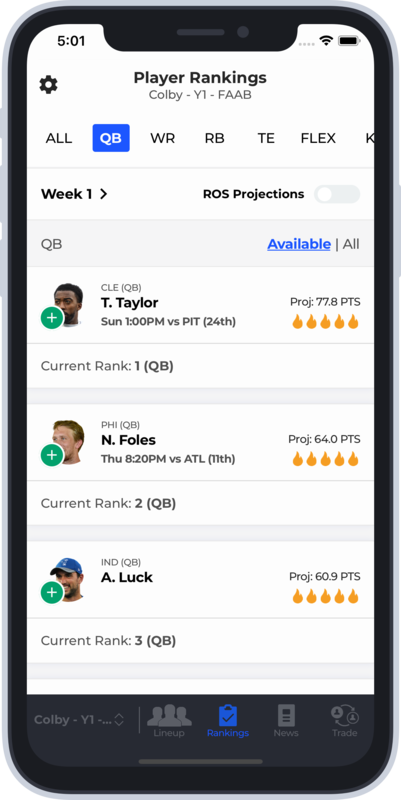 Connect your CBS, ESPN and Yahoo leagues to import your roster, league settings and more. 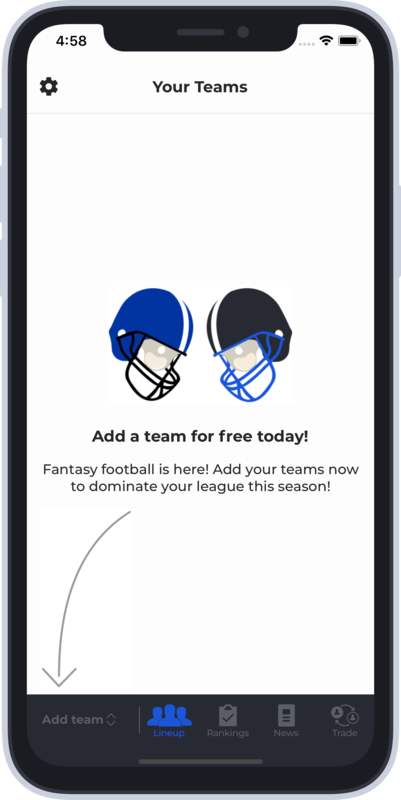 Sync multiple teams as well!